IMAX takes you behind-the-scenes with the filmmakers behind Captain Marvel. Featuring, special makeup effects head Shane Mahan, costume designer Sanja Hays, and VFX supervisor Chris Townsend. Higher. Further. Faster. 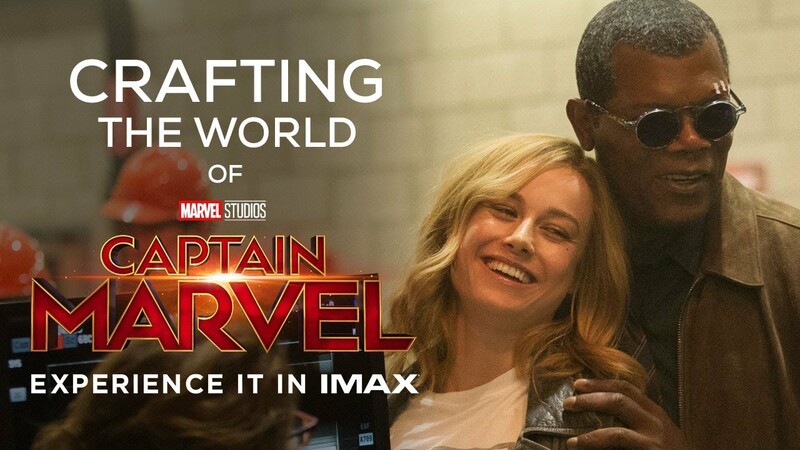 Experience up to 26% more picture, Captain Marvel only in IMAX theatres, LEARN MORE. CAPTAIN MARVEL TICKETS ARE ON SALE NOW! To view showtimes and reserve your seat, CLICK HERE.